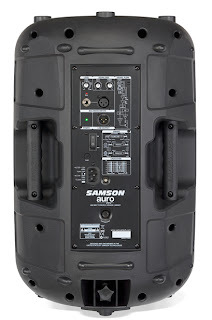 Auro D412 Fuses Power and Portability with the Samson Sound. Delivering 400 watts of power, Auro D412 features a 12-inch extended low frequency driver and accompanying 1.34-inch compression driver. Immersive, articulate bass and sweet, lucid highs create well-balanced and expressive audio suitable for any situation when pro-quality sound is a must. Plus, our exclusive Optimax processing ensures Auro D412 will operate at high volume levels without sacrificing low end. Its convenient 1/4-inch line input and XLR mic input, along with volume control and two-band equalizer, combine professional capabilities with total ease of use. The speaker also features a 1-3/8-inch pole mount receptacle and dual-angle floor monitor positioning options for flexible setup. One feature you'll love about Auro D412 is its conveniently lightweight, yet resilient design. The unit provides two oversized ergonomic carry handles, making transportation a breeze, while the solid polypropylene construction ensures roadworthy durability. Auro D412 is ideal for sound professionals and performers seeking to bridge the gap between portable and fixed installation applications. Auro D412 provides a versatile speaker solution that easily integrates into PA setups for a variety of applications, including musical and other general live sound reinforcement. 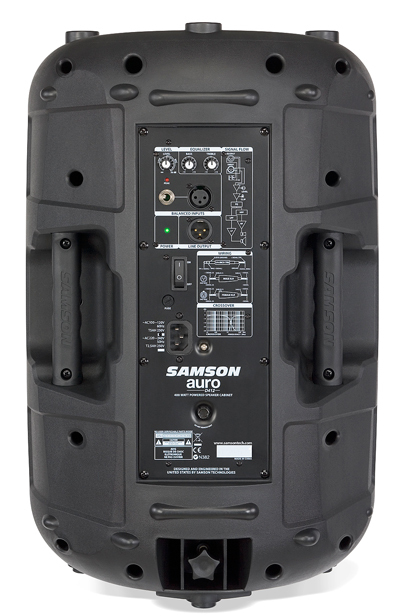 Auro D412 was designed to provide clear, full-range live sound reinforcement in a variety of applications. Whether you're a karaoke diva, singer/songwriter, DJ, or full band gigging in a medium-sized performance space, Auro D412 guarantees you an immensely powerful, sonically pure and highly mobile sound. In addition, the speaker enclosure's floor monitor positioning angles lends Auro D412 perfectly to near-field and far-field monitoring applications. Take command of the boardroom podium with Auro D412. 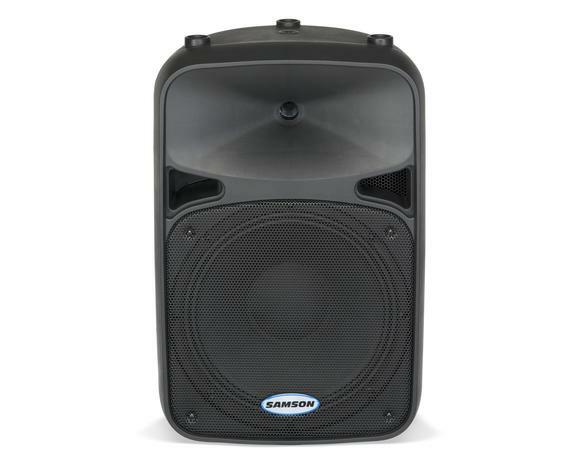 When integrated into a PA system, the speaker provides the perfect solution for a business professional leading any sort of presentation. No matter the application (presentations, company meetings, corporate events, etc. 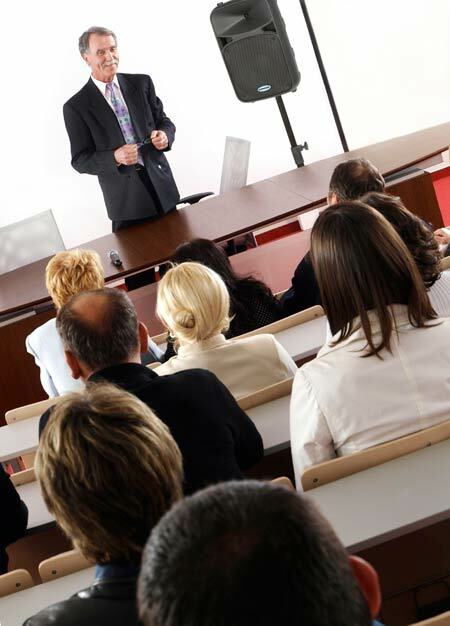 ), the unit will allow you to convey your ideas to your audience clearly. 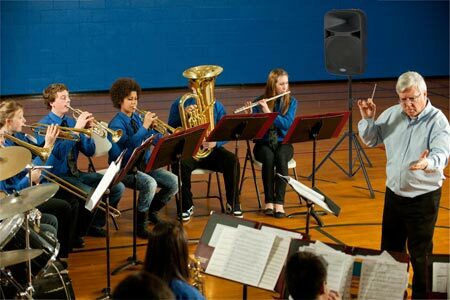 In addition to all students, teachers and professors utilizing Auro D412 in some of the same circumstances as business professionals (presentations, audio playback), the system possesses some functions unique to music education. The unit is ideal for directing large instrumental ensembles. Auro D412 will help conductors keep even their percussionists on task. 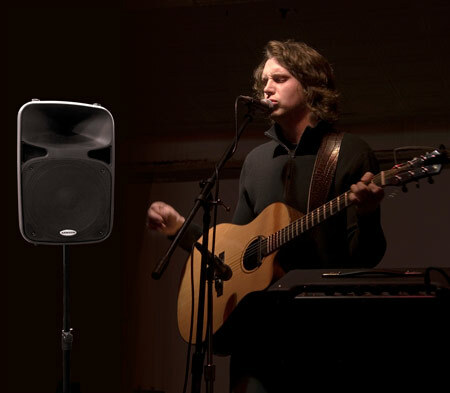 Soloists and small ensembles can practice along with recorded accompaniment broadcast over an Auro D412-based PA system. Also, the pro-quality sound produced by the Auro D412 makes the analysis and appreciation of recorded music far more interactive and educational. Beyond producing impeccable sound reinforcement, Auro D412's elements of portability make it ideal for countless recreational uses. For a traveling instructor, Auro D412 is perfect for leading large exercise/yoga classes in fitness clubs. Outdoor functions pose no problem whatsoever for Auro D412. Block parties, sporting events, and matters of crowd control now have a more practical, and still extremely portable, alternative to the megaphone. Auro D412 is also sure to excite the tailgating crowd, now able to demonstrate their team spirit at a level never before possible, or simply provide musical entertainment for a classic tailgate party. So, get the two-way active loudspeaker that fuses power and portability: Auro D412.